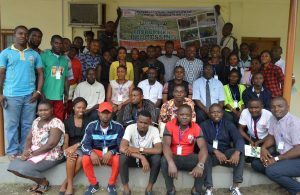 About 38 youth drawn from Onne, Rivers State, were trained on agribusiness and entrepreneurship and improved agronomic practices and value addition for cassava and plantain/banana. The 3-day training was facilitated by the ATASP-1 project, the Plantain and Banana Improvement Program, and the Youth Agripreneurs at IITA Onne, 17-19 July. 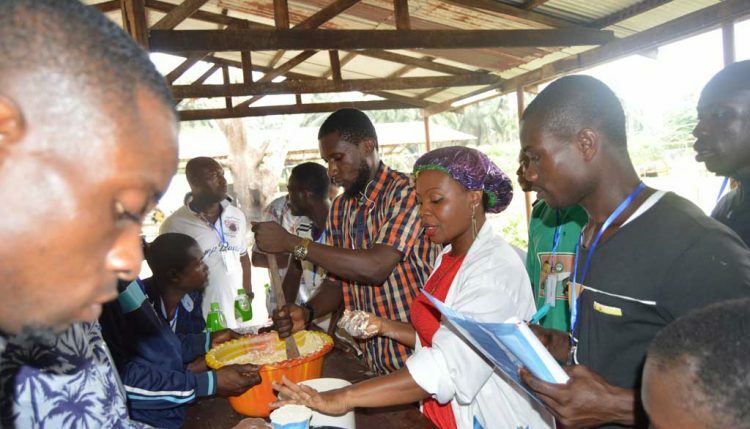 Ms. Jacinta Ezurike showing participants how to make various value-added products. Francis Adunoye, in his welcome note to the participants on behalf of the Director General, Dr. Nteranya Sanginga and the Head of IITA-Onne, Richardson Okechukwu, stated that training aimed to equip participants in cassava and plantain/banana production and spur their interest in agripreneurship to become employers. Enlightening the participants on cassava production, Mr. Obiadinma Chukwuma, ATASP-1 Training officer, explained the best agronomic practices expected for high root and stem production. 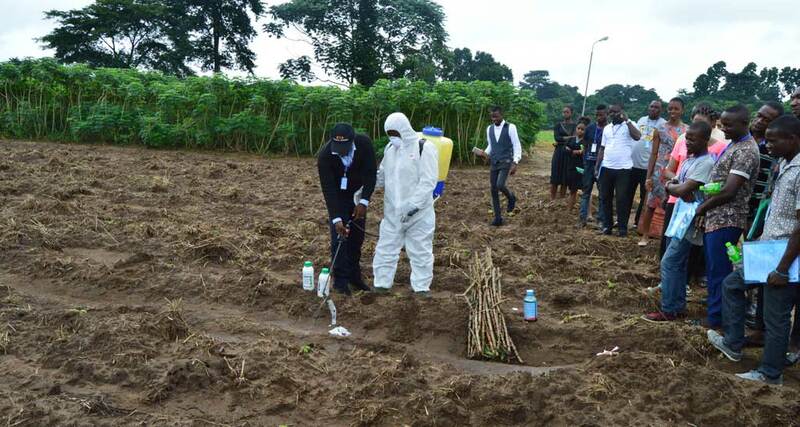 He further demonstrated the appropriate method of herbicide application, which the participants also practiced. He discussed the potential business opportunities in training other farmers in stem and root production and herbicide application. Also speaking on best agronomics practices for plantain/banana production, Josephine Agogbua, Postdoctoral Research Fellow, stated that factors such as site selection, field preparation, and various propagation techniques are required to get optimum yield and high productivity. ATASP-1 Training Officer demonstrates how to apply herbicide. The IYA Onne team represented by Ms. Dorcas Ogunwole and Mr. Obinna Atu briefed the participants on the benefits of acquiring entrepreneurial skills needed to successfully operate small-scale farm businesses. Ogunwole urged the trainees to identify and exploit business opportunities to create wealth. She said, “There are a lot of business opportunities in agribusiness. One could take advantage of the input-supply sector, production, and processing, value addition and packaging, transportation, storage facilities, marketing, or service provision.” To further emphasize the need for a successful business enterprise, Atu explained the importance of farm budgeting, planning, and record keeping to avoid under or overspending. He said it is the road map that guides the process of production. The participants were thrilled with the knowledge gained from improved techniques of production and had questions and discussions on how best to establish a successful business. Reacting to the training, a trainee Oluji Ogosu Samuel said, “I love agriculture! The training has been an eye opener for me especially in the area of best planting methods, plant spacing, improved cassava varieties, management of cassava, and plantain/banana production. It has also shed light on other areas of agriculture.” The majority of the participants appreciated IITA stating that no institution in Onne had ever offered this type of empowerment. The training ended with an exhibition of products made by the participants and the issuance of certificates of attendance.